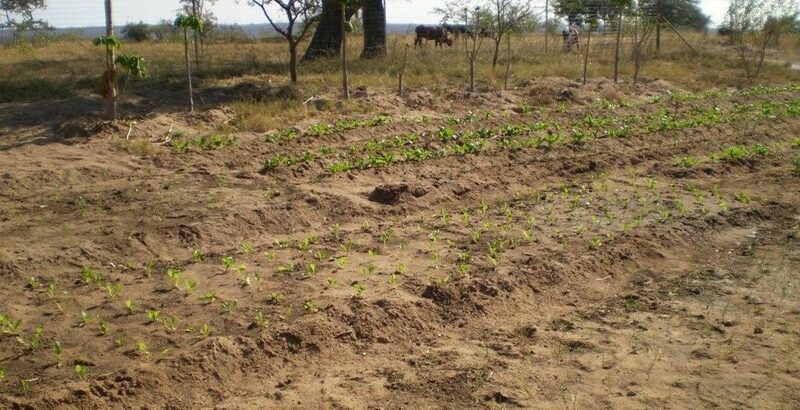 Volunteers will plant subsistence type veggies in elevated and manageable gardens. 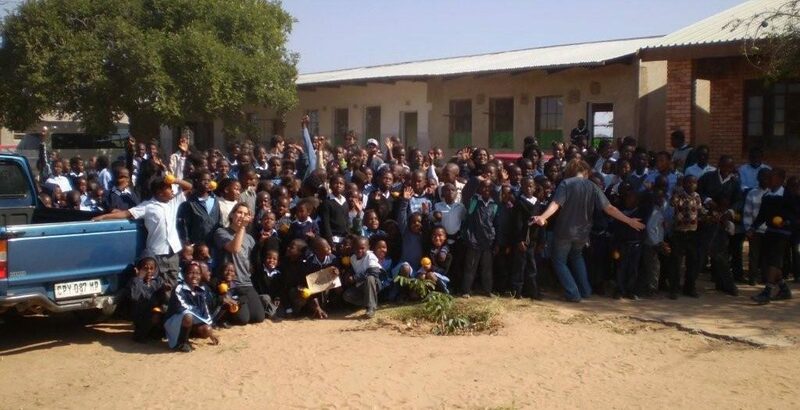 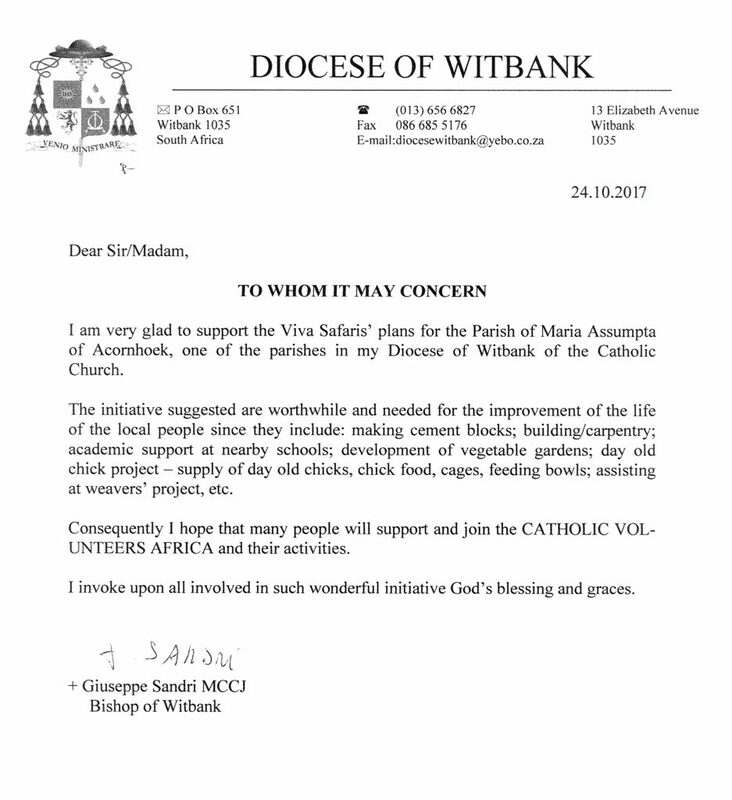 As far back as 2008, Viva Safaris undertook to assist the Catholic Parish of Acornhoek. 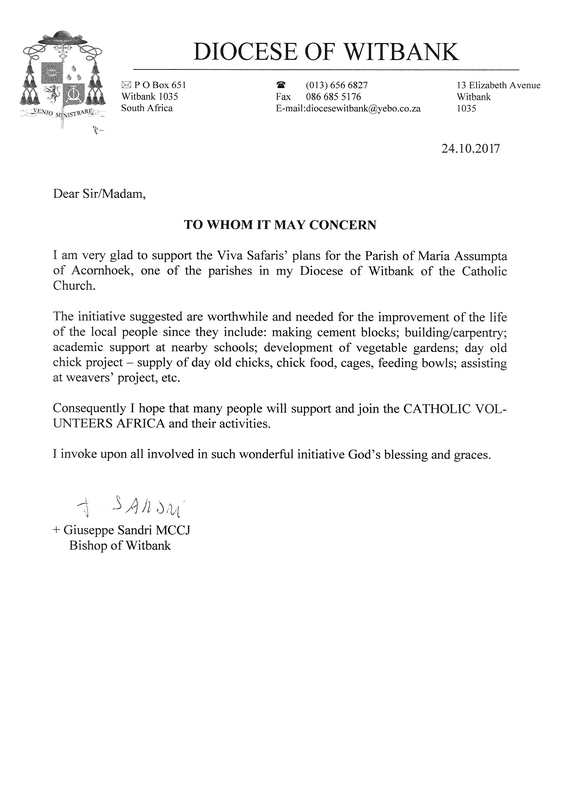 Over the years, a number of visiting tourist groups have helped out in various ways and the parishioners have benefitted immensely. 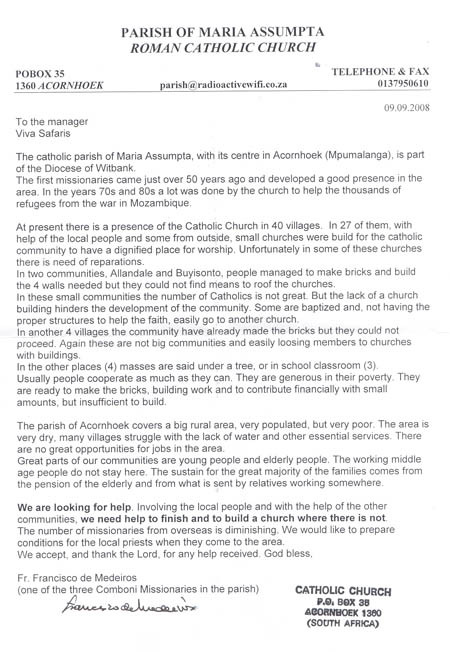 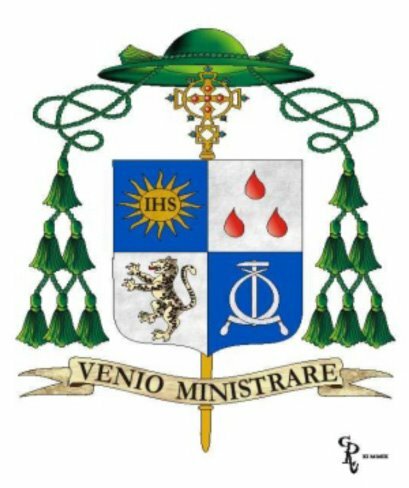 Below are the original letter and an audio presentation by the then parish priest, Fr Xico. 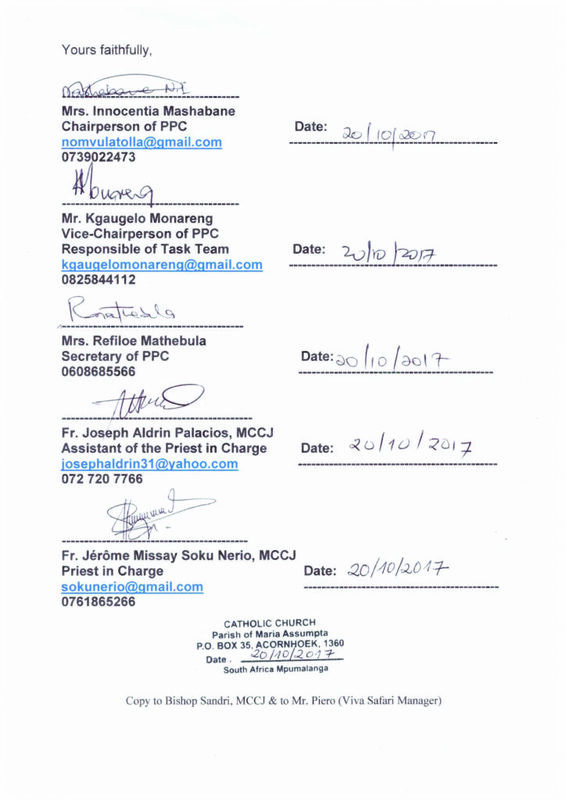 A new and dynamic group, Catholic Volunteers Africa, have picked up the pace and, in collaboration with Viva Safaris, will see to it that the initial projects will be sustained and that new projects will be added. 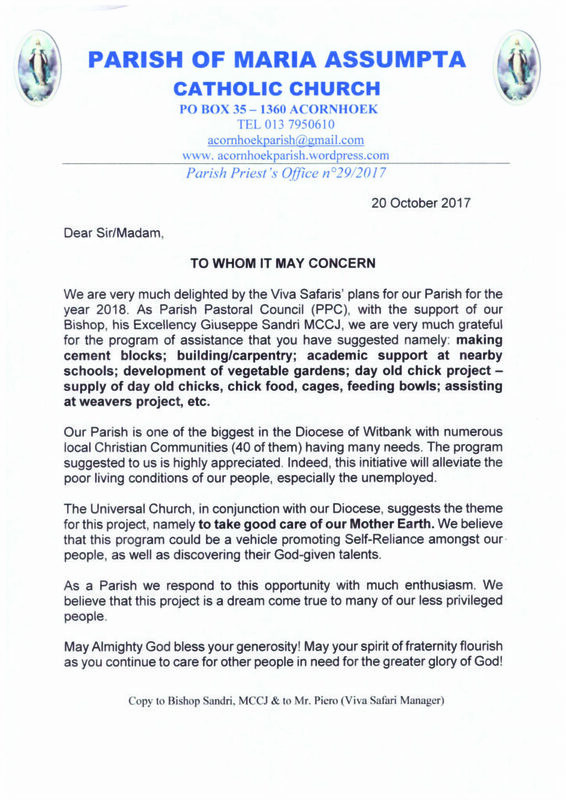 The present parish priest, Fr Jerome has supplied a wish-list and the letters below indicate just how grateful the Parish Council are for the new initiative. 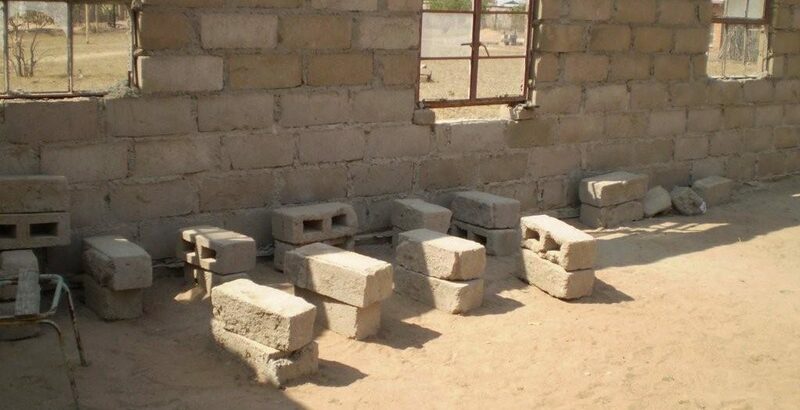 This is just an idea about other needs. 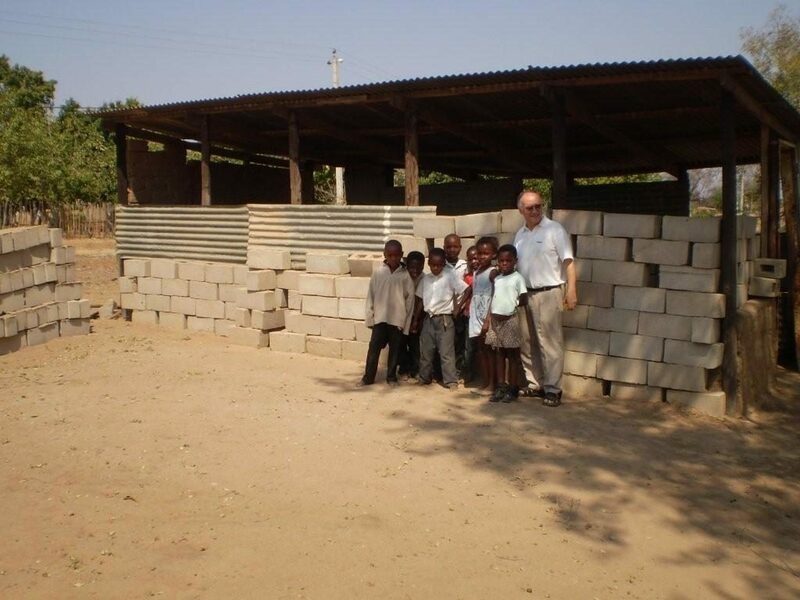 But we are very much opened for whatever help could come to this structure. 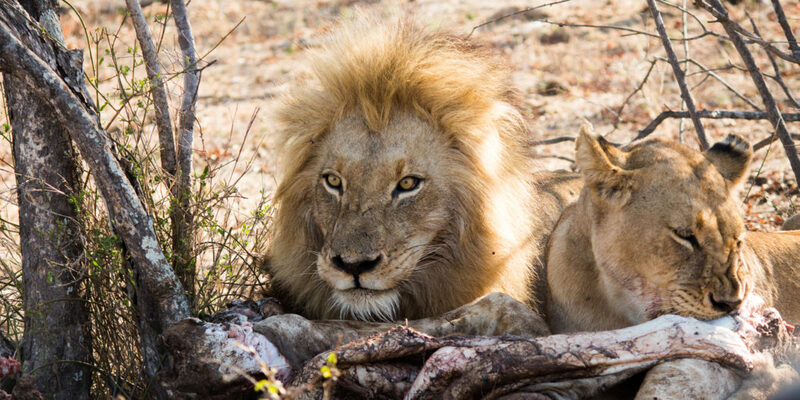 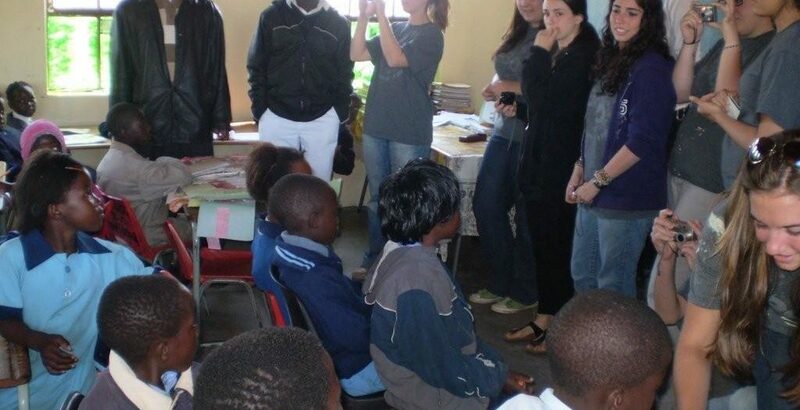 We have designed a 14 day Volunteering Program which is a unique and exciting blend of safari activities and outreach work.